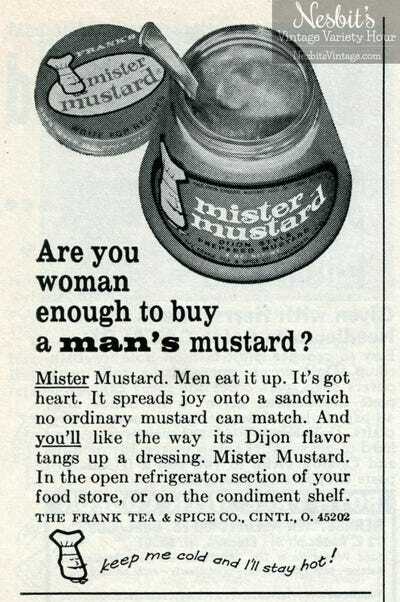 This ad for Protein World — a diet supplement — caused more debate in Britain than any other ad this year. 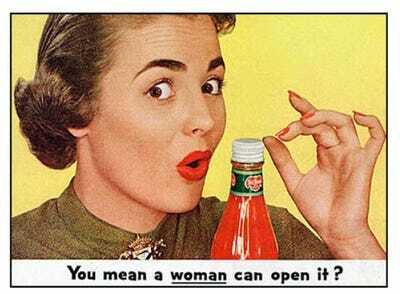 After it first appeared in London underground stations during the summer, it was the subject of hundreds of complaints to the UK’s advertising watchdog regulator, mostly from people who believed it showed an unrealistic portrayal of a woman that might make other women feel their bodies were inferior. 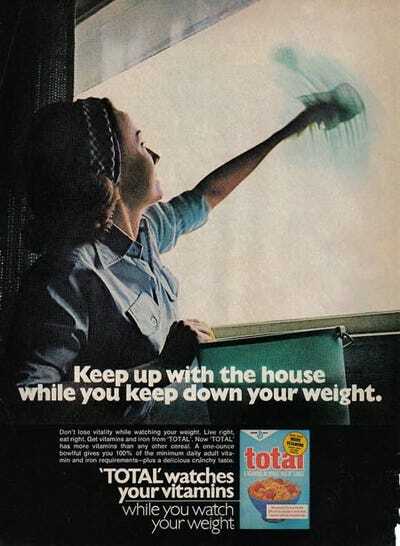 Some called for ads that encourage women to become thinner to be banned, because they are sexist. 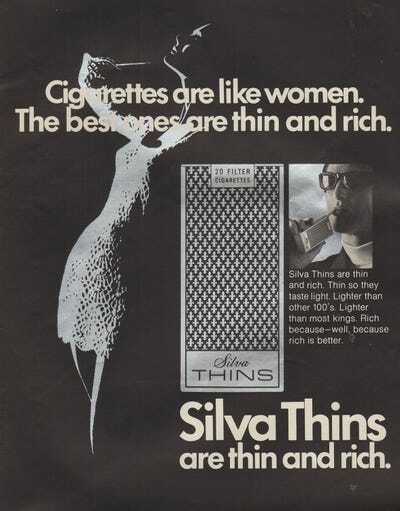 MP Caroline Noakes has started a campaign to ban models appearing on fashion catwalks and clothing ads if they have a Body Mass Index of less than 18. 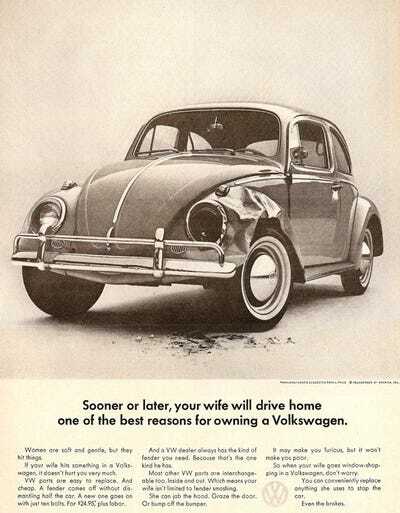 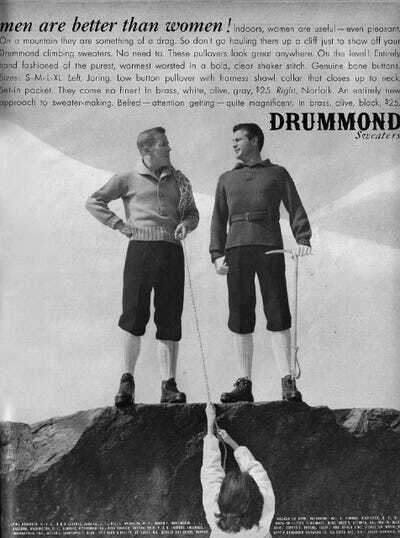 But … it could be worse, as these old ads show. 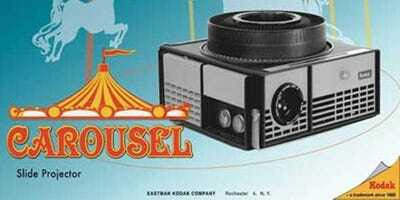 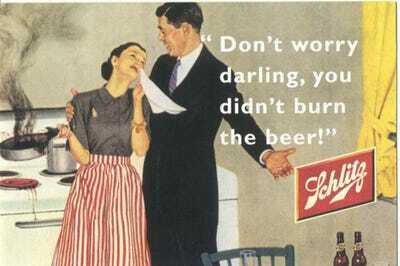 Some of them are from major brands who doubtless cringe at what they did in the past. 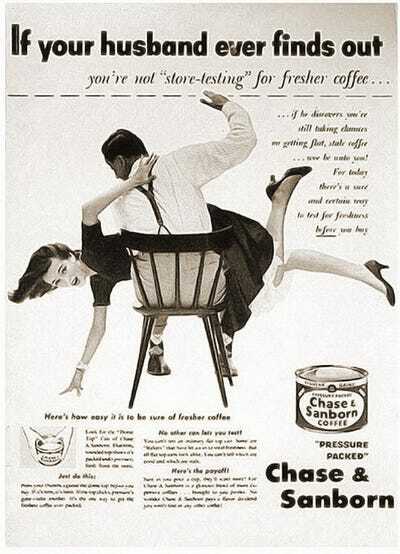 Chase & Sanborn, 1952: This ad makes light of domestic violence. 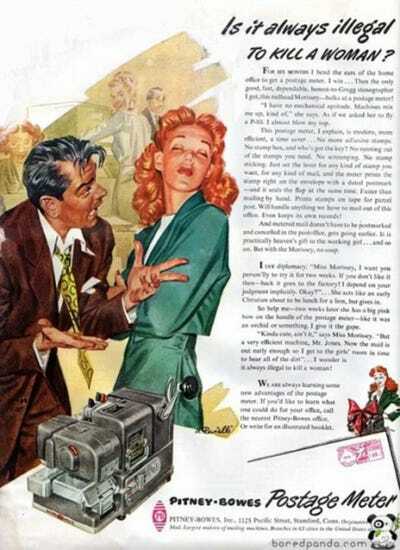 Pitney-Bowes, 1953: It's so easy to use that even a woman with 'no mechanical aptitude' can operate it. 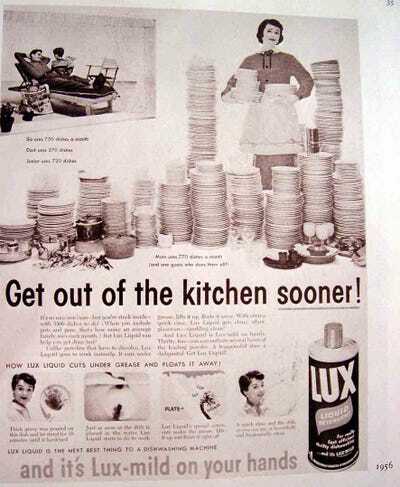 Unilever, 1955: Guess who does all the dishes? 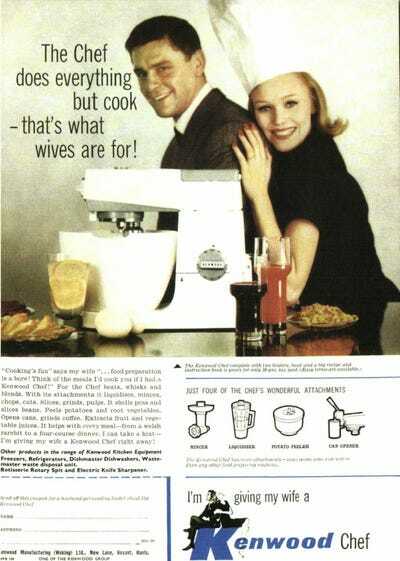 Acme, 1963: The most important quality in coffee is how much it will please your man. 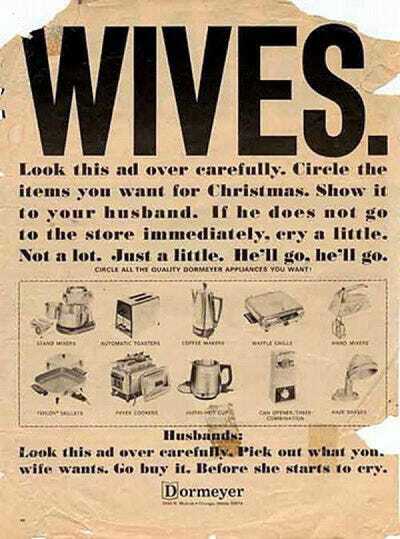 Dormeyer, 1966: Wives are desperate for home appliances and will cry to get them. 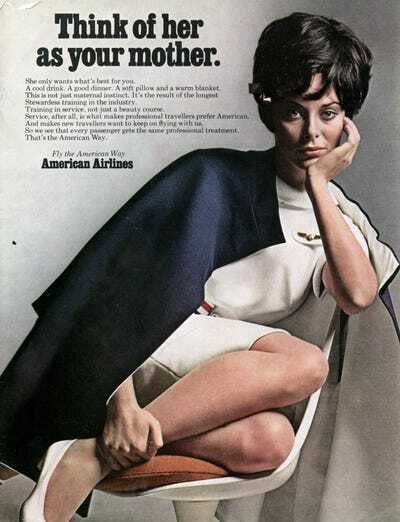 1968: American Airlines wants you to think of its attractive flight attendants as your mother. 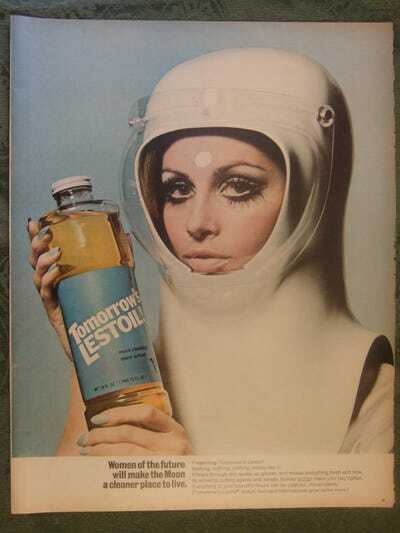 Procter & Gamble, 1968: The moon isn't going to clean itself. 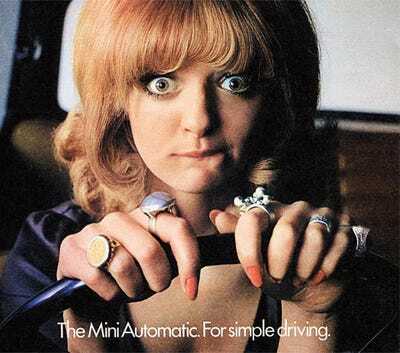 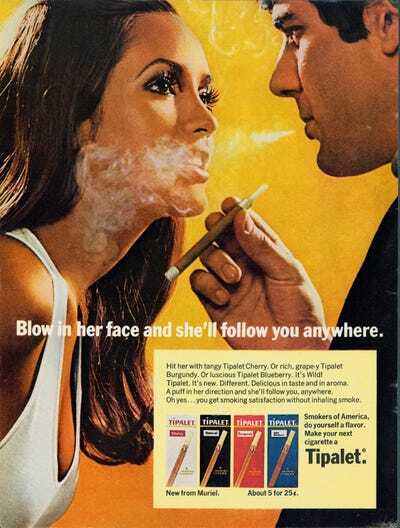 Muriel, 1969: Tipalet wants you to know that cigarettes are made for men, but instantly attractive to women. 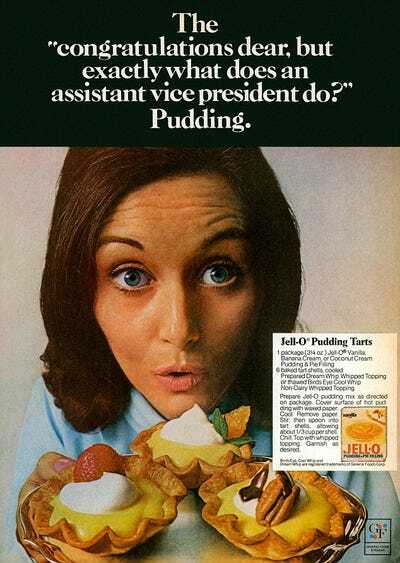 1969-1970: Jell-O doesn't think a woman can understand office hierarchies. 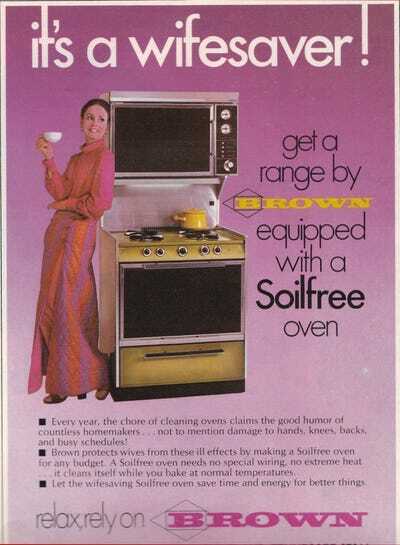 1970: Datacomp has a computer anyone can use ... even women! 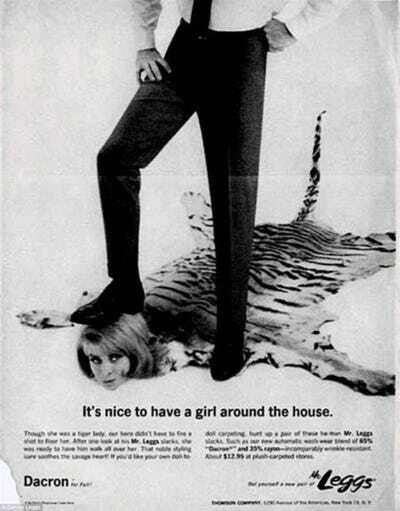 1974: Weyenberg Shoes thinks women belong at men's feet. 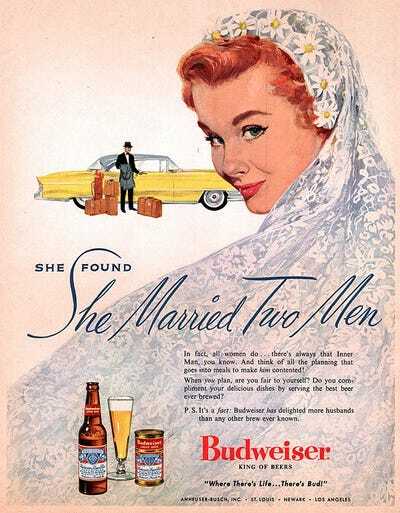 How does Mad Men compare to reality?